The first sail of the year was at Coniston. 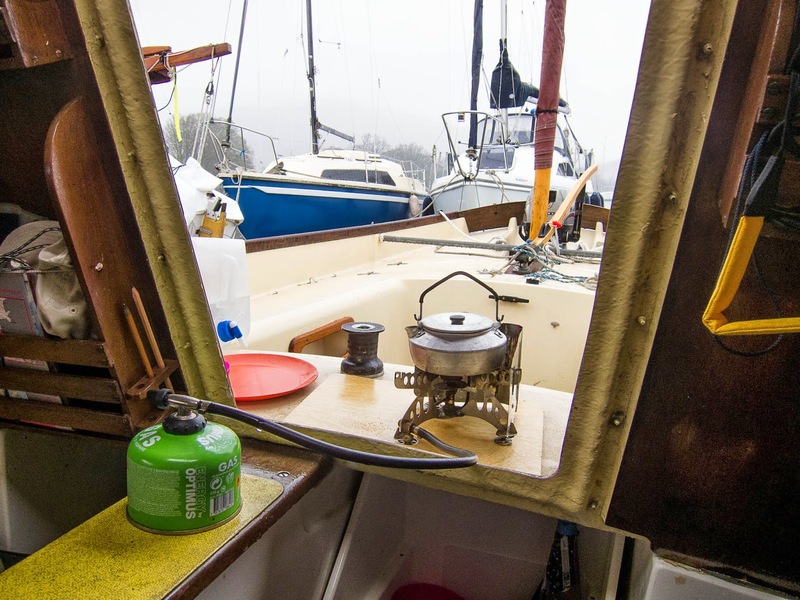 Sailed on four days and it rained - hard - on three of them, but with out the rain there would be no Lake District! The boat rolled off the trailer with ease, after an initial push with my shoulder! I never did replace the rubber rollers with nylon ones. After discussions with other owners, it was felt the rubber ones provide good cushioning. 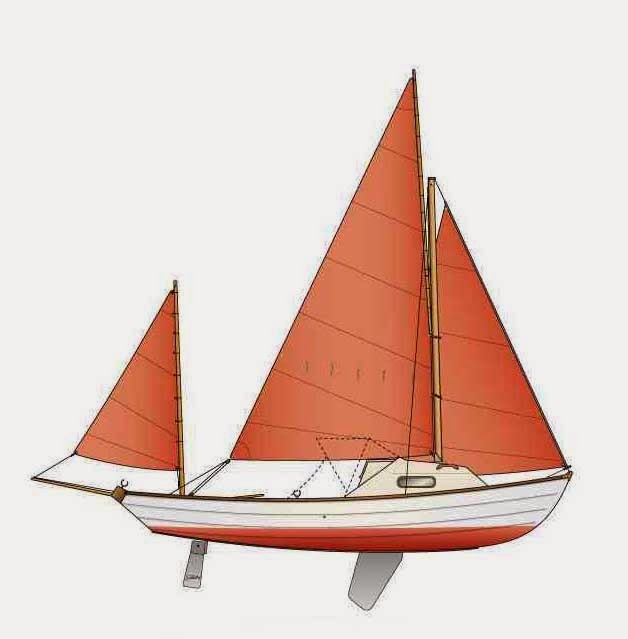 There has been some bad experiences with the nylon ones, damaging the wooden keel band. It seems a good idea just to remove and re-grease the rubber ones each year. They are not expensive and replacing any that develop a flat spot will keep launching an easy exercise. The wind ranged from nothing and I tried rowing and sculling for the first time, to force 4. The range of conditions gave chance to see if the small changes I'd made over the winter would work, certainly the new curved tiller was a success, especially when there are two in the cockpit, as it clears the helm's knees, which the previous straight one wouldn't. One thing I did learn, is that with the cabin hatch in place - because of all the rain - it is difficult to reach forward and roll the main up. Will need to think of how to deal with this issue. Although the "tarp" doesn't look great, it certainly works. Keeping the worst of the weather out, it is easy to pack away in the aft locker and there is no pole taking up space. It is also much cheaper than a purpose built tent. 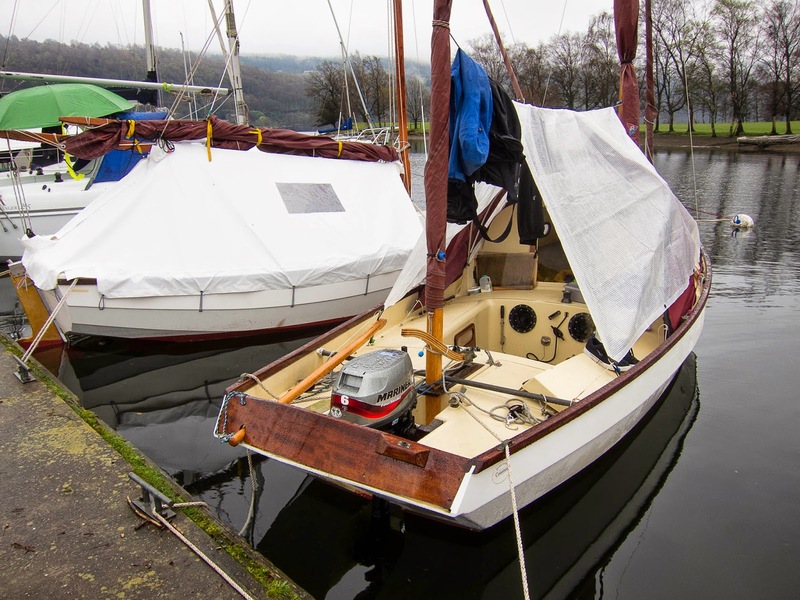 The tarp came from http://www.tarpaulinsdirect.co.uk/, I also bought a larger one to cover the boat during the winter, the service and quality were excellent.